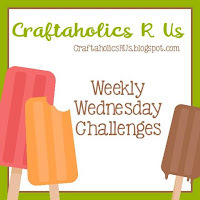 Craftaholics R Us #37 We are a weekly challenge with a theme.. 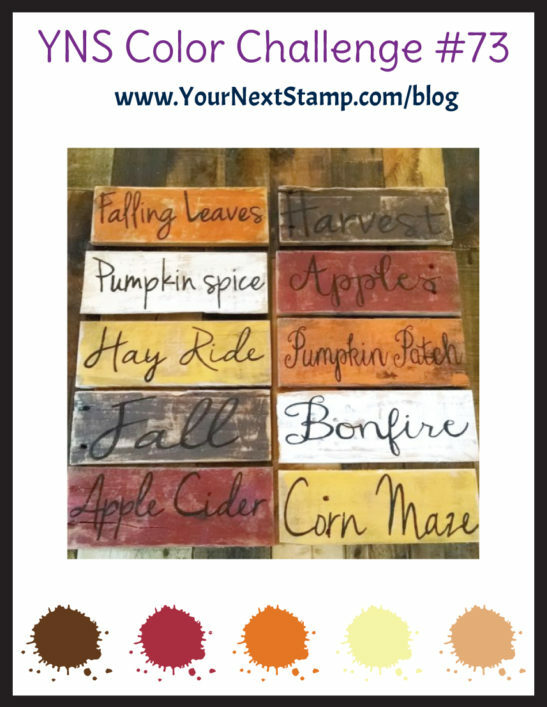 I am on the Green team and the theme is FALL COLORS for this week. I hope you can play along.. I looked through some designer papers and went for one of my favorite companies. Basic Gray.. I liked these 5 papers and thought what to do... So I added adhesive to my background base and laid the papers down then cut it down to 4.25 x 5.5. 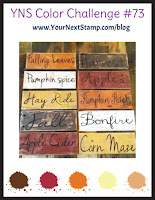 I then took Gina K - botanical stamp set and Ranger ink and stamped the script. 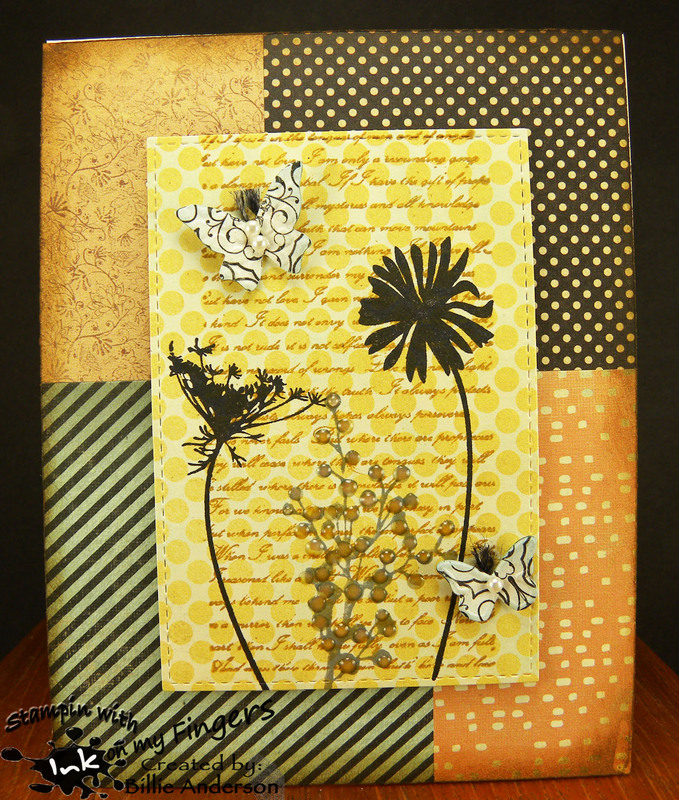 I then stamped in black the two silhouettes and used gray ink for the other silhouette. I die cut the image out with My Favorite Things stitch die. 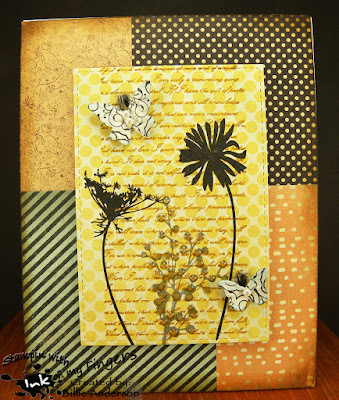 I die cut two butterflies from an old Stampin up folder die. I added some twine and half pearls to them. I added some Nuvo drops to the one plant and Spectrum Noir glitter pen to the black plants. I really hope I have inspired you. These are my fall colors. 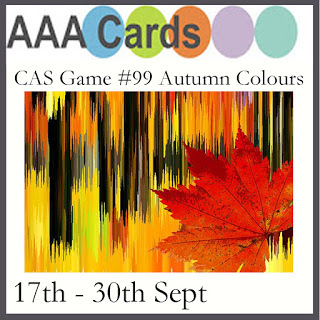 your card looks so stylish! thank you so much for playing along with us at make my Monday! Such a beautiful card... with the awesome blocks of DP! Such pretty fall colors! I love the silhouette of the flowers too. Thanks for playing at AAA Cards. Very pleasing design, Billie. I like the botanical stamp. Thanks for playing along at AAA Cards. Thank you for sharing your creation with us over at That's Crafty & joining the Fly Away Blog Challenge. Best Wishes Tracey. I've missed our little chats! I'll rise... but I refuse to shine..